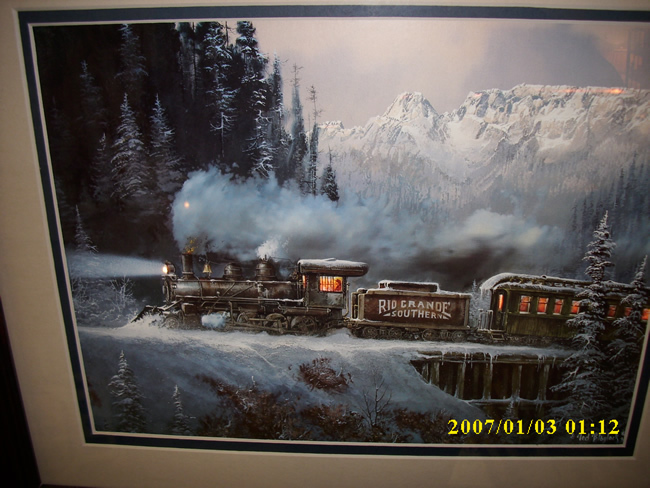 The train plows through the snow coverd mountains as smoke bellows from the locomotive engine in the print by Ted Blaylock. It comes in sizes 20"x24" and 28"x34". Email mtrimx@frontier.com with any questions about this or any of our other products.